Pan-Asian insurer FWD Life Insurance recently opened its new business hub in Imus City, Cavite. 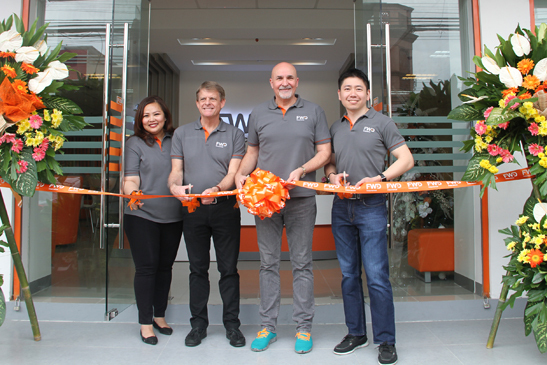 Formally unveiling the company’s newest office are executives of FWD Life Philippines (from left) head of marketing Roche Vandenberghe, chief distribution officer John Johnson, president and chief executive Peter Grimes, and chief financial officer Jasper Cheng. The new business hub is located at G/F VMI Building, Emilio Aguinaldo Highway, Palico 1, Imus City, Cavite. Call (02) 888-8388 (FWD Customer Connect Hotline) or (046) 416-1090 (FWD Imus Business Hub) to schedule an appointment with an FWD advisor.